Guadalajara, Jalisco state capital home to some of the symbols of Mexican culture , such as mariachi , tequila and horsemanship , is the second most populous city and most important of Mexico , known in different ways, as ” City Roses ” , ” City of Fountains “,” Ciudad Real ” , but certainly all that conquest is ” the Pearl of the West ” . Convenience harmonics between modern urban development , ancient architecture and cultural heritage of traditions, make this city a vigorous metropolis invites us to travel and witness the reasons that awakens amazement and love to all . The city emphasizes its colonial architecture , folklore , religious traditions and of course its rich and varied cuisine, but is also recognized as the country’s most important technology cluster and one of the most respected worldwide. It is known as the Mexican Silicon Valley , because of its strong electronics industry, as well as being the Mexican capital of IT and software development . La ciudad destaca su arquitectura colonial, su folclore, sus tradiciones religiosas y por supuesto su rica y variada gastronomía, pero también es reconocida como el cluster tecnológico más importante del país y uno de los más respetados a escala mundial. Es conocida como el valle del silicio mexicano, debido a su fuerte industria electrónica, así como por ser la capital mexicana de la informática y de desarrollo de software. 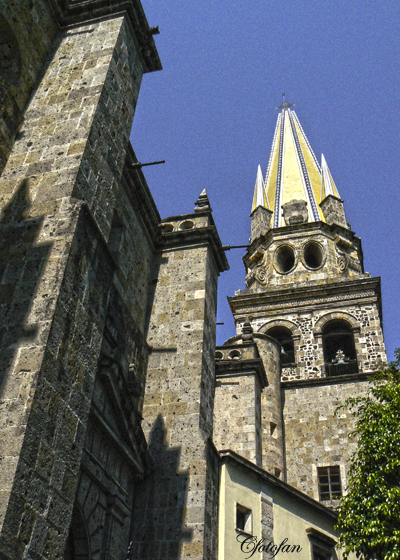 This entry was posted in captures, cultura, culture, diversión, fotografías, fotos, fun, gallery, historia, Images, imágenes, photos, pictures, travel and tourism, turismo and tagged Guadalajara, Jalisco. Bookmark the permalink.